The projects that Uplift grantees are financing cover a wide range of rural communities' needs, from community support services to education. For example, with the help of a $7 million loan from HOPE, a CDFI dedicated to strengthening communities, building assets and improving lives in the Delta, Mississippi’s Toughest Kids Foundation plans to open the only fully accessible camp in Mississippi for people with serious illnesses and disabilities. In another exciting project, two community lenders in South Dakota, Dakota Resources and Rural Electric Economic Development, Inc., are teaming up to finance the reconstruction and renovation of school buildings in the small community of Lake Andes, which is 43% Native American. The 2017 Progress Report also emphasizes the importance of CDFIs in the Uplift America partnership. These mission-focused institutions are located in the communities they serve, so they can build relationships and tailor their services to local needs. Coupled with their ability to provide technical assistance and counseling to borrowers, this makes CDFIs a crucial partner in community-based development. Additionally, Uplift builds CDFIs’ capacity, with the goal of making them enduring resources for their communities. 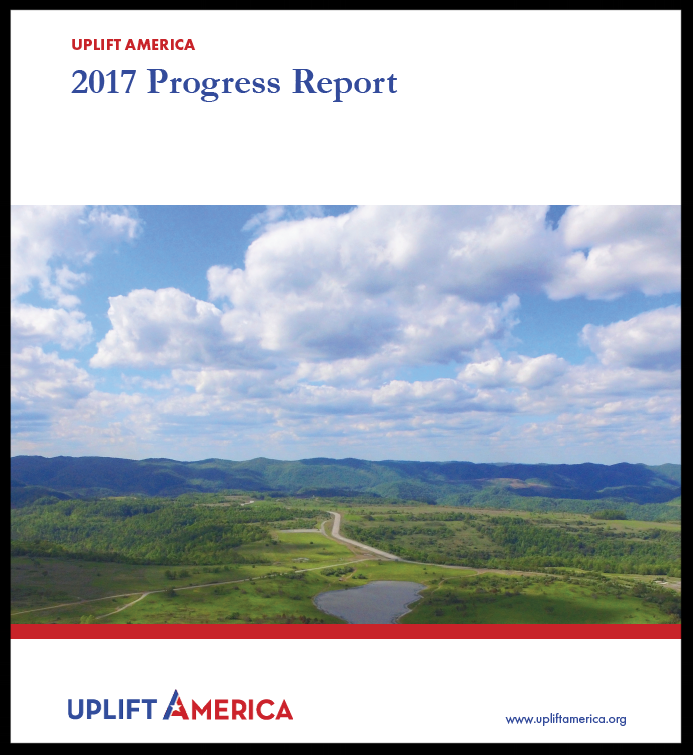 Uplift America demonstrates the commitment of the public and private sectors to reducing persistent poverty and creates opportunity in rural communities. Read our report for more details on what Uplift has accomplished in its first year.